Charles Whitehead has been involved in the Catholic Charismatic Renewal for more than forty years and served as president of the International Catholic Charismatic Renewal Council for eleven years, until 2000. 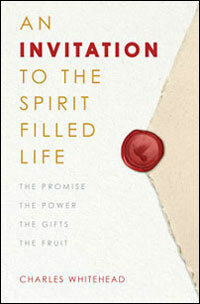 He is the author of the best-selling book Pentecost Is Always for Living. In July 2002, Pope St. John Paul II made him a Knight of St. Gregory in recognition of his international work in the Church. Charles and his wife, Sue, have four children and six grandchildren and live in Buckinghamshire, England. Charles Whitehead, an international leader of the Catholic Charismatic Renewal, encourages us to take a fresh look at the person and promise of the Spirit as revealed in the Scriptures and throughout two thousand years of Church teaching and history.